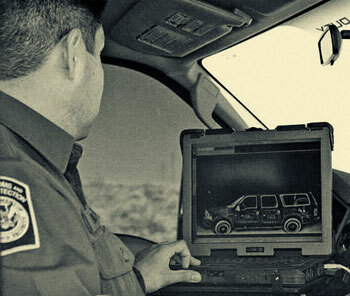 The encroaching Big Brother nightmare has escalated even further with a recent announcement that the U.S. government has purchased mobile X-ray vans to scan people and vehicles at sporting events, road stops and even at random. The initiative is part of alleged counter-terror efforts that include improving the ability to detect bombs, weapons and other contraband that may potentially be used in a terrorist attack. The custom-made radiation vans are produced by American Science & Engineering, a Billerica, Mass.-based company that has already sold more than 500 Z Backscatter Vans, or ZBVs, to both U.S. and foreign governments. The radiating technology installed in the vans is the same as that found in full-body airport scanners, which were also fuel for recent controversy over their encroachment of personal freedoms. According to the report, U.S. law enforcement officials have already deployed many of these ZBVs in cities across the country, including in a recent operation near Atlanta, Ga., where the U.S. Department of Homeland Security (DHS) used vans to scan random vehicles. Many are concerned not only about the technology’s blatant and unconstitutional invasion of privacy, but also about the health effects of blasting large doses of ionizing radiation at people and vehicles without warrant. Since such activity is technically physical assault, criminal and civil lawsuits against federal and state authorities that engage in it are likely to arise.